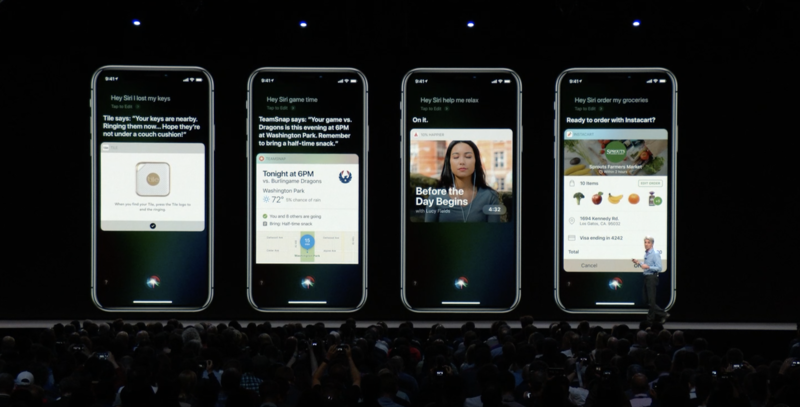 At WWDC, Apple pitched Shortcuts as a way to ”take advantage of the power of apps” and “expose quick actions to Siri.” These will be suggested by the OS, can be given unique voice commands and will even be customizable with a dedicated Shortcuts app. But because this new feature won’t let Siri interpret everything, many have been lamenting that Siri didn’t get much better — and is still lacking compared to Google Assistant or Amazon Echo. It’s undeniably convenient to get facts by speaking to the air, turning on the lights without lifting a finger or triggering a timer or text message — but so far, studies have shown people don’t use much more than these on a regular basis. People don’t often do more than that because the assistants aren’t really ready for complex tasks yet, and when your assistant is limited to tasks inside your home or commands spoken into your phone, the drawbacks prevent you from going deep. If you prefer Alexa, you get more devices, better reliability and a breadth of skills, but there’s not a great phone or tablet experience you can use alongside your Echo. If you prefer to have Google’s Assistant everywhere, you must be all in on the Android and Home ecosystem to get the full experience, too. Plus, with either option, there are privacy concerns baked into how both work on a fundamental level — over the web. In Apple’s ecosystem, you have Siri on iPhone, iPad, Apple Watch, AirPods, HomePod, CarPlay and any Mac. Add in Shortcuts on each of those devices (except Mac, but they still have Automator) and suddenly you have a plethora of places to execute all your commands entirely by voice. Each accessory that Apple users own will get upgraded, giving Siri new ways to fulfill the 10 billion and counting requests people make each month (according to Craig Federighi’s statement onstage at WWDC). But even more important than all the places where you can use your assistant is how — with Shortcuts, Siri gets even better with each new app that people download. There’s the other key difference: the App Store. 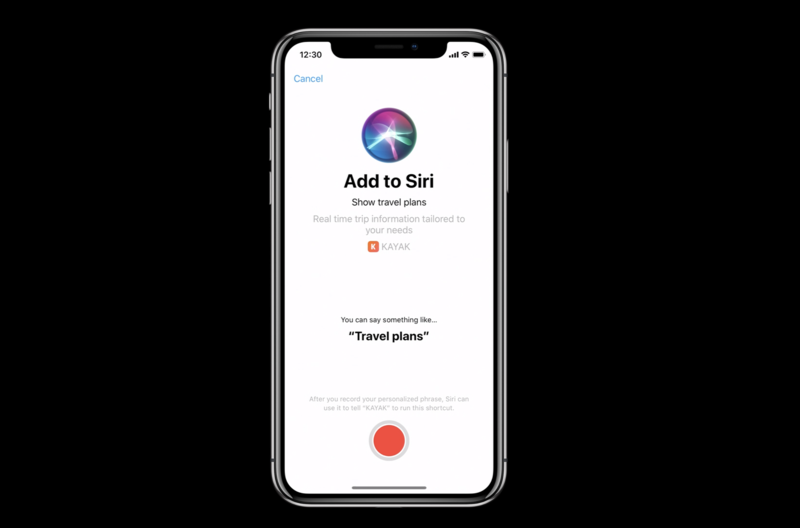 Shortcuts opens up those capabilities to Siri — every action you take in an app can be shared out with Siri, letting people interact right there inline or using only their voice, with the app running everything smoothly in the background. Plus, the functional approach that Apple is taking with Siri creates new opportunities for developers to provide utility to people instead of requiring their attention. The suggestions feature of Shortcuts rewards “acceleration,” showing the apps that provide the most time savings and use for the user more often. This opens the door to more specialized types of apps that don’t necessarily have to grow a huge audience and serve them ads — if you can make something that helps people, Shortcuts can help them use your app more than ever before (and without as much effort). Developers can make a great experience for when people visit the app, but also focus on actually doing something useful too. In the most groan-inducing way possible, “there’s an app for that” is back, and more important than ever. Not only are apps the centerpiece of the Siri experience, but it’s their capabilities that extend Siri’s — the better the apps you have, the better Siri can be. All of the information provided to the system is securely passed along by individual apps — if something doesn’t look right, you can just delete the corresponding app and the information is gone. Siri will make recommendations based on activities deemed relevant by the apps themselves, as well, so over-active suggestions shouldn’t be common (unless you’re way too active in some apps, in which case they added Screen Time for you too). Each of the voice commands is custom per user, as well, so people can ignore their apps suggestions and set up the phrases to their own liking. This means nothing is already “taken” because somebody signed up for the skill first (unless you’ve already used it yourself, of course). Also, Shortcuts don’t require the web to work — the voice triggers might not work, but the suggestions and Shortcuts app give you a place to use your assistant voicelessly. And importantly, Shortcuts can use the full power of the web when they need to. 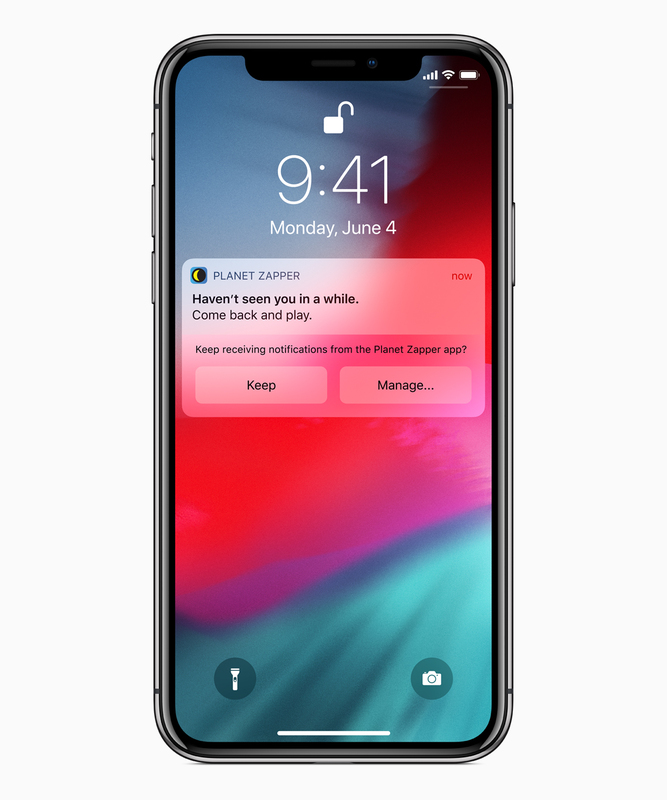 This user-centric approach paired with the technical aspects of how Shortcuts works, gives Apple’s assistant a leg up for any consumers who find privacy important. Essentially, Apple devices are only listening for “Hey Siri,” then the available Siri domains plus your own custom trigger phrases. Without exposing your information to the world or teaching a robot to understand everything, Apple gave Siri a slew of capabilities that in many ways can’t be matched. 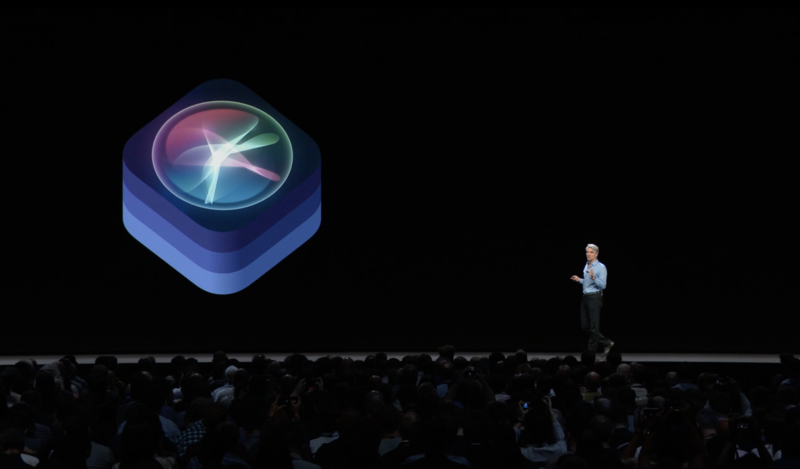 With Shortcuts, it’s the apps, the operating system and the variety of hardware that will make Siri uniquely qualified come this fall. There’s lots more under the hood to experiment with, but this will allow anyone to tweak and prod their Siri commands until they have a small army of custom assistant tasks at the ready. Siri doesn’t know all, can’t perform any task you bestow upon it and won’t make somewhat uncanny phone calls on your behalf. But instead of spending time conversing with a somewhat faked “artificial intelligence,” Shortcuts will help people use Siri as an actual digital assistant — a computer to help them get things done better than they might’ve otherwise. With Siri’s new skills extending to each of your Apple products (except for Apple TV and the Mac, but maybe one day? ), every new device you get and every new app you download can reveal another way to take advantage of what this technology can offer. This broadening of Siri may take some time to get used to — it will be about finding the right place for it in your life. This is a real digital assistant, your apps know how to work with it and it’s already on many of your Apple devices. Now, it’s time to actually make use of it.